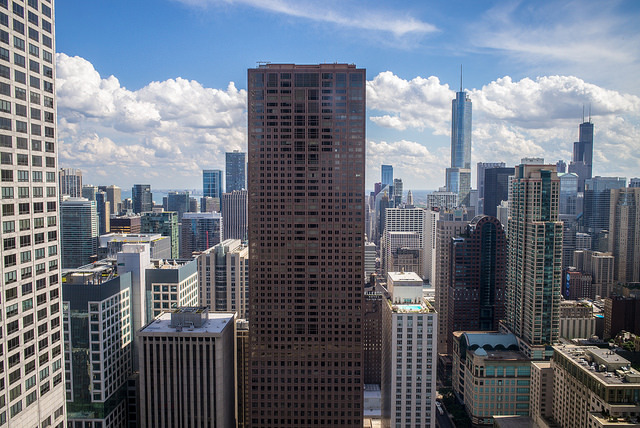 Willis Tower isn't the only place in the city where you can enjoy breathtaking views of the skyscrapers, Lake Michigan, and surrounding suburbs. The 360 Chicago observation deck might offer an even more engaging experience thanks to the debut of TILT. Protruding from the 94th floor of the John Hancock Building, TILT is a slow-moving ride that brings the thrills nonetheless. It's a large glass box equipped with handrails. Step into a section of the box and hold on. It slowly tilts forward, situating you out over empty air. You'll get a bird's-eye view of the city streets below and the surrounding architecture. Then you can explore historical exhibits, grab a bite at the cafe, or snag a drink at the bar at 360 Chicago. Tickets start at $12.60 for kids and $18.90 for adults.